How Often Should You Schedule Residential Cleaning Services? Home > Cleaning Services Blog > How Often Should You Schedule Residential Cleaning Services? When people consider hiring us for professional residential cleaning services, they are often unsure about how often they should schedule regular cleanings. While there is not a right or wrong answer to this question, you have to understand that there are several factors affecting this decision. We offer residential cleaning services weekly, biweekly, monthly and quarterly. Weekly: If you have a very busy schedule and are unable to complete much cleaning on your own (or would rather use your leisure time for other activities), we recommend weekly cleanings. Kids and pets are also a factor in this recommendation, as houses with kids and pets naturally tend to get dirty faster. Biweekly: If you do some of your own regular day-to-day cleaning but want a little extra help, biweekly residential cleaning might be the right option for you. This is a very popular option. 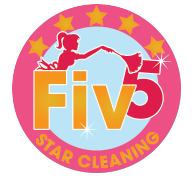 Monthly: If you keep up your own home most of the time, but want professional cleaning on a regular basis, this is a good option. Keep in mind that less regular cleanings do cost more per cleaning than a weekly cleaning because of the amount of work involved. Quarterly: Deep professional cleanings four times a year may be just what you need to complement your regular cleaning schedule. You may not have time to do your own Spring cleaning, and we are happy to help. All our residential cleaning services can be customized and tailored to your unique needs and wants.